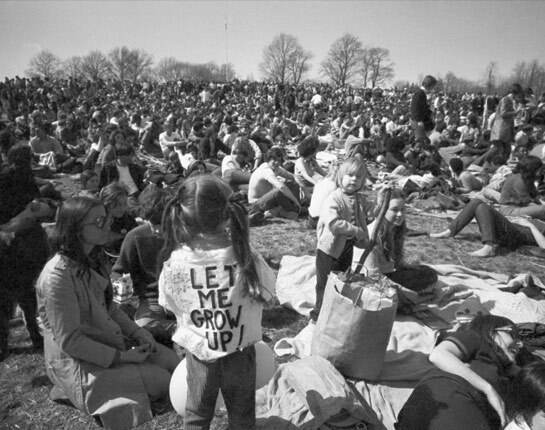 On April 22, 1970, more than 20 million Americans gathered on college campuses and in city squares to celebrate the first Earth Day. 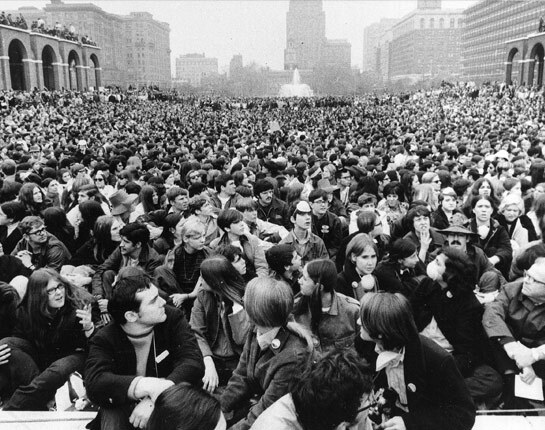 Some came to spread the word, others came to learn, but all were a part of the largest organized demonstration in American history. Explore snapshots of events around the country. 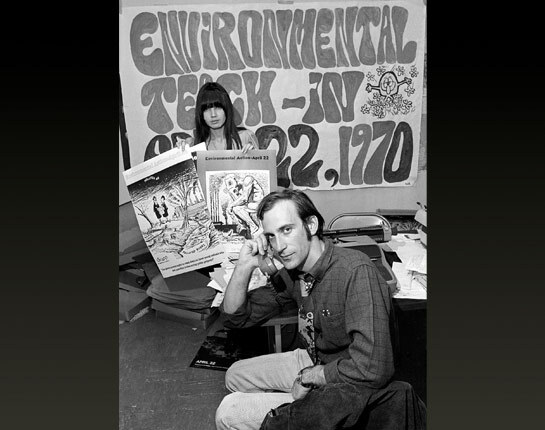 From a small Washington, D.C. office, Environment Teach-In, Inc. organized the first Earth Day as a coordinated teach-in involving several schools across the U.S.
Denis Hayes (seated) ran the small activist group co-founded by Senator Gaylord Nelson. 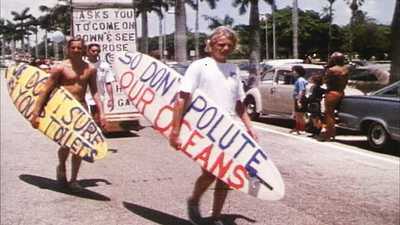 The teach-in was designed to educate Americans about growing problems with environmental pollution and overpopulation. 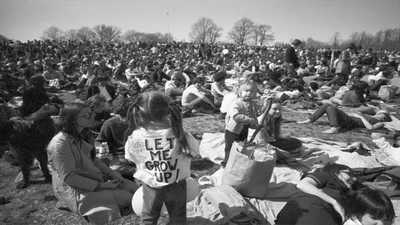 In Philadelphia, 7,000 people crowded Independence Mall to celebrate Earth Day. 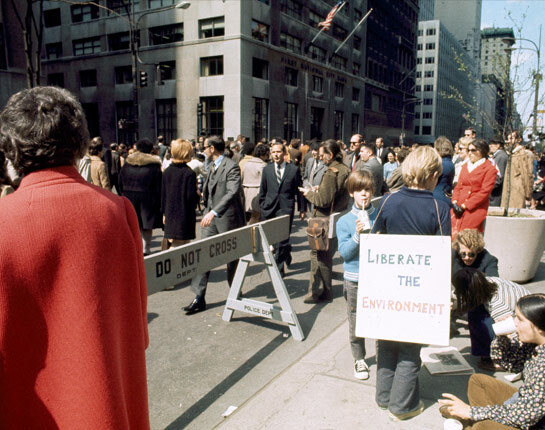 New York City Mayor John Lindsay closed 5th Avenue for what would be the largest Earth Day gathering in the country. 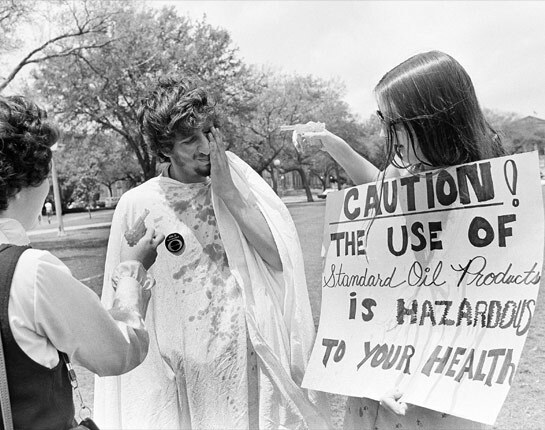 Students at Tulane University in New Orleans branded the oil industry as “polluter of the month,” spraying a white-clad demonstrator with oil from squirt guns. 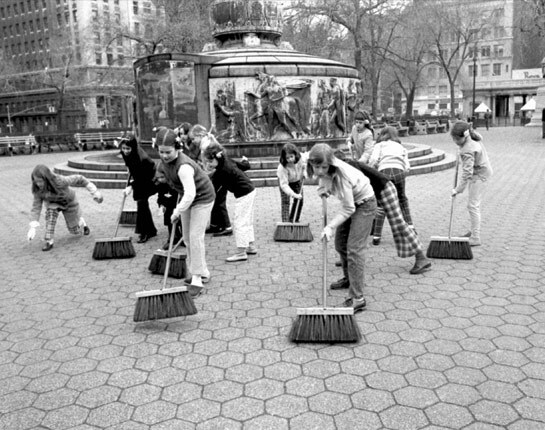 In New York City, children from the Sacred Heart School swept clean Union Square. Several elementary, middle and high schools participated in Earth Day activities. 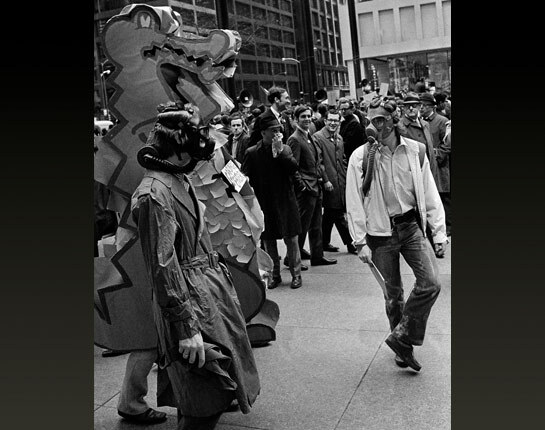 Marchers in Chicago wore gas masks and accompanied a “garbage eater” dragon on the way to the Civic Center Plaza. 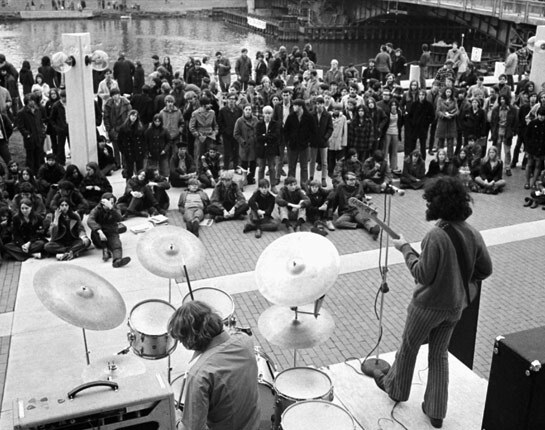 In Milwaukee, citizens paddled on the Milwaukee River to protest its pollution before spending the rest of the evening listening to rock music at the Performing Arts Center. 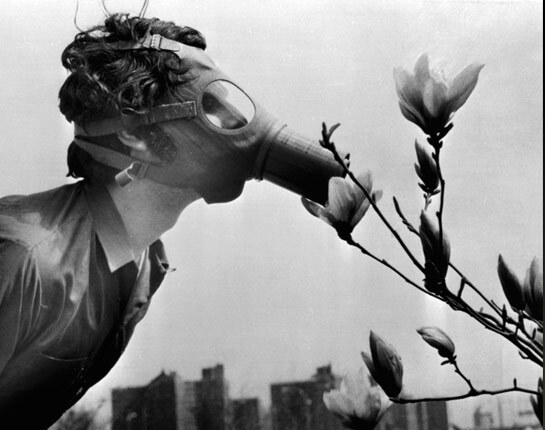 At Pace College in New York, a student protesting air pollution in City Hall Park “smelled” a magnolia blossom through a gas mask. At Logan Airport in Boston, demonstrators surrounded wooden “coffins” filled with people mock-killed by biocide. The airport was planning an expansion to allow for larger jet planes. 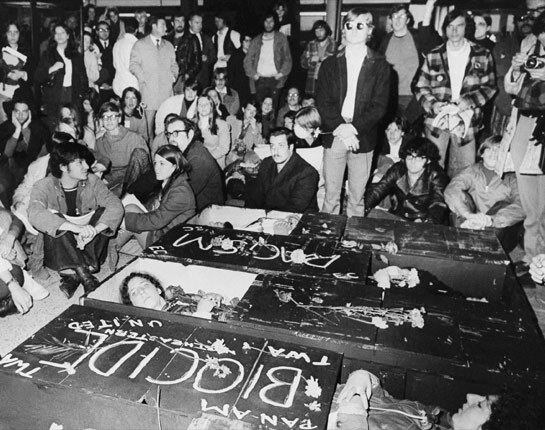 Fifteen of the protesters were arrested for blocking the airport lobby. 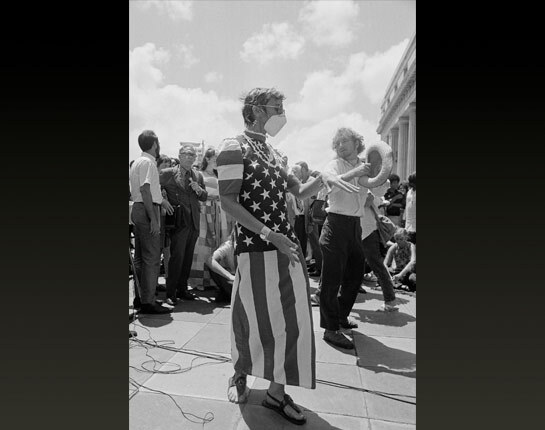 Wearing a face mask, student Dinah Campi protested air pollution in Miami. 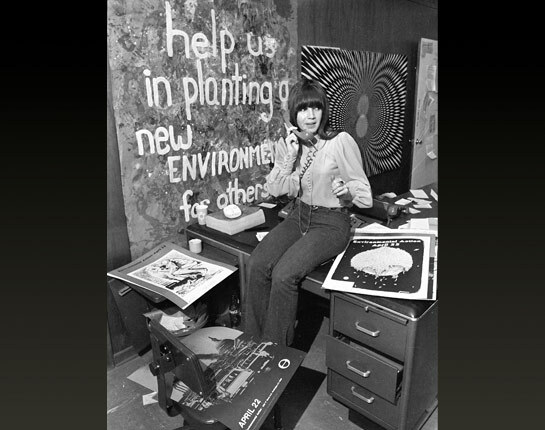 A meditation on man’s complex relationship with nature and an engaging history of the revolutionary achievements and missed opportunities of eco-activism, Earth Days looks at the dawn and development of the modern environmental movement. 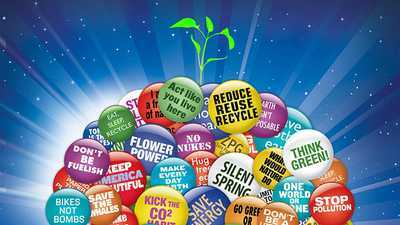 The first national observation of Earth Day took place on April 22, 1970, when an estimated 20 million people across the country took to the streets in protest against environmental pollution.